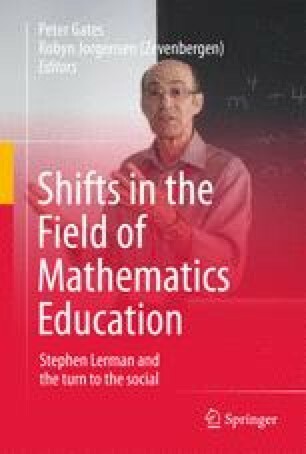 We might suggest that the field [of mathematics education research] exhibits a weak grammar, in that we can see a proliferation of new specialised languages, creating new positions within the field. This paper forms part of the work of the Wits Maths Connect Project at the University of the Witwatersrand, supported by the FirstRand Foundation Mathematics Education Chairs Initiative of the First Rand Foundation the Department of Science and Technology and the National Research Foundation (NRF). Any opinion, findings and conclusions or recommendations expressed in this material are those of the author(s) and do not necessarily reflect the views of the FRF, DST, or NRF.